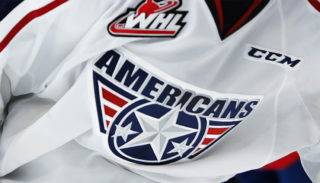 The Americans return to the Veterans Memorial Coliseum today after taking a 3-2 victory over the Winterhawks on Sunday. After a close fought game the Winterhawks took tonight’s victory with a score of 4-2. 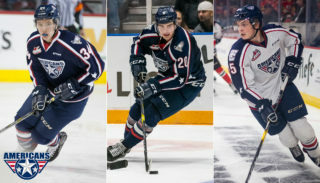 Tri-City started strong taking a two-goal lead in the first period. Krystof Hrabik opened scoring with his tenth goal of the season at 7:03, assisted by Riley Sawchuk and Parker AuCoin. Kyle Olson followed just 40 seconds later with a breakaway goal. The Winterhawks cut the Americans’ early lead in half at 18:58 with a goal from Jaydon Dureau. Thirty-seven seconds later Josh Paterson tied the game for Portland. First period shots were 16-11 in favor of the Winterhawks. 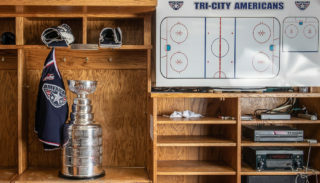 Tri-City was a perfect 4-for-4 on the penalty kill. The Americans have been 100% on the penalty kill over the past three games. 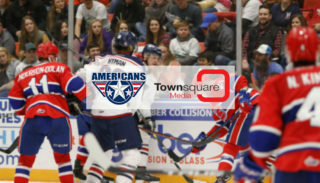 The contest remained tied until Portland’s leading scorer Joachim Blichfeld scored back-t0-back goals in the third period earning Portland their first victory over the Americans this season.